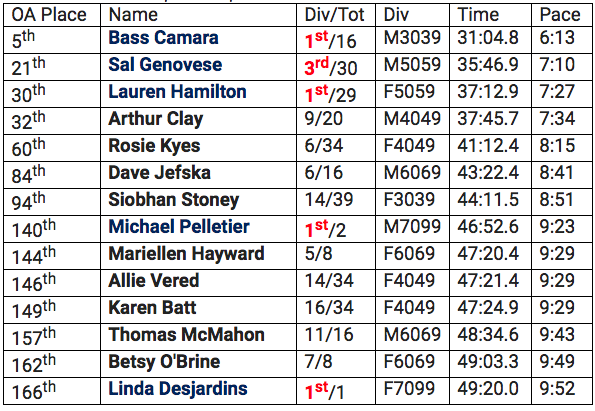 Gloucester, MA, May 17, 2018 – Bass Camara led all North Shore Striders at the Backshore, finishing 5th overall and 1st in the M3039 Division. Lauren Hamilton was the first NSS woman, finishing 30th overall and 1st in the W5059 division. Also earning gold medals were Linda Desjardins and Mike Pelletier while Sal Genovese won bronze. 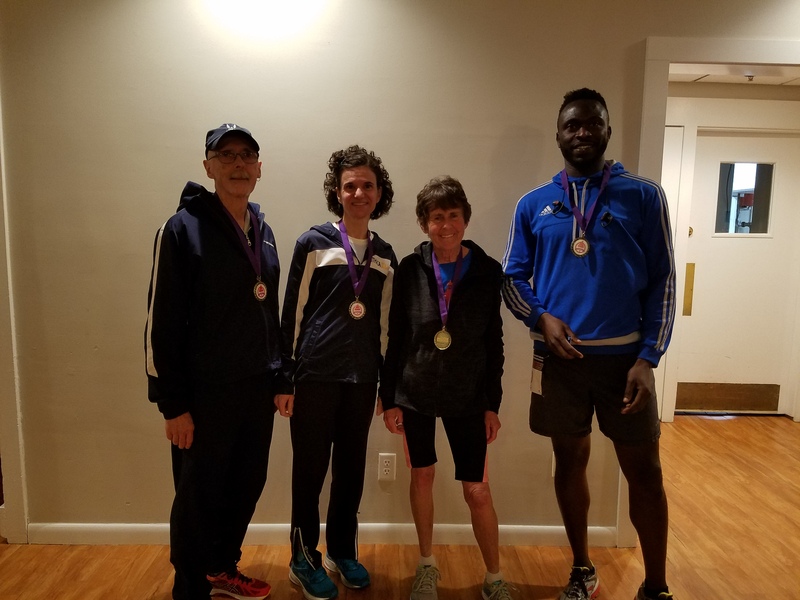 The first seven Striders (Bass, Sal, Lauren, Art, Rosie, Dave and Siobhan) finished in the top half of the 239 runner field and all 14 NS Striders ran under a 10-minute per mile pace. Making a triumphant return to road racing after an absence of several years was Karen Batt. It was hard to tell who was more pleased: Karen, or her teammates. 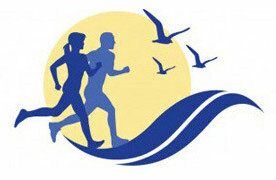 It has been five years since the Backshore 5 Mile race has been part of the NSS Grand Prix. What a nice return we had! To be honest, many of us sort of groaned when we remembered the race starts at the base of a decent hill and that the finish requires us to ascend the other side of that hill to earn the very fast and steep downhill finish. However, the course has always been as enjoyable as it’s fair: challenging in spots, flat in spots, some rolling gentle hills, gorgeous ocean views and gentle sea breezes, romps through lovely neighborhoods, two well-stocked water stops, and lots of volunteers handing out water and just as many doing the same at the finish line. We were also treated to a new post-race gathering spot. The Elks hall was roomy, had plenty of parking, and we were provided with some yummy wraps and fruits and a timely awards ceremony. Fourteen Striders rose to the challenge and we took our fair share of awards and ran quite respectable times.